After taking our prototypes to a few shows this year (and getting rave reviews! ), we’ve decided to take the plunge and launch a range of top quality trunks. Ladies and Gents, we give you Tuck and Steamer! 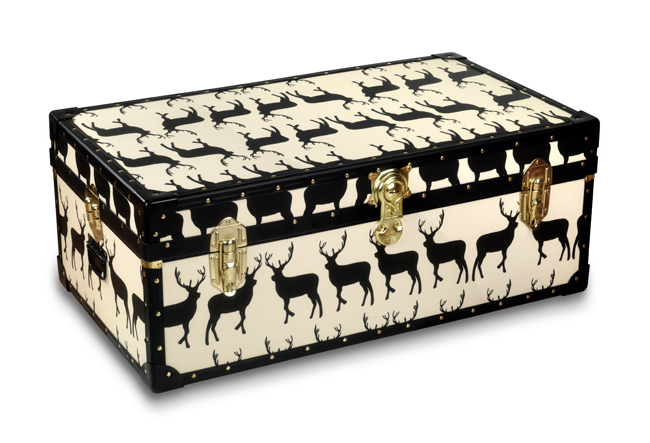 Tuck boxes (our smaller trunk) were traditionally used for boarding school kids to store their eatables in and this re-fashioned classic would be perfect for storing toys, knitwear or crafts. Steamer trunks (our bigger trunk) are most commonly used for extended periods away from home, such as boarding school, but would also be ideal for the storage of sports equipment, outdoor games, blankets and umbrellas.